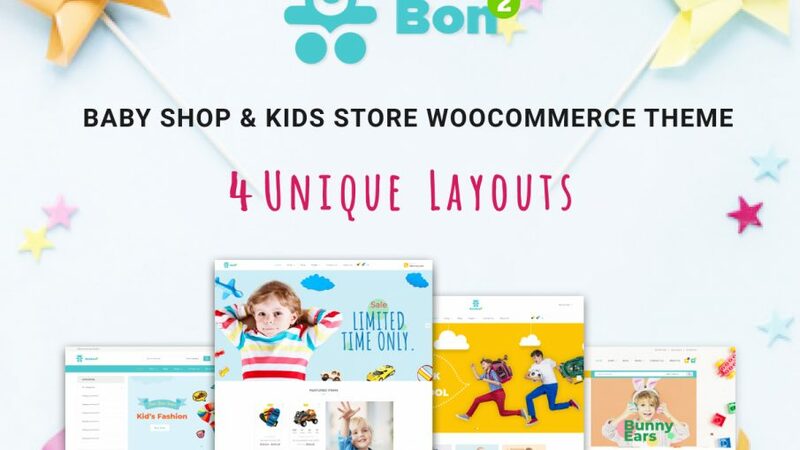 Bonbon WooCommerce WordPress theme is designed for children’s activities or products. 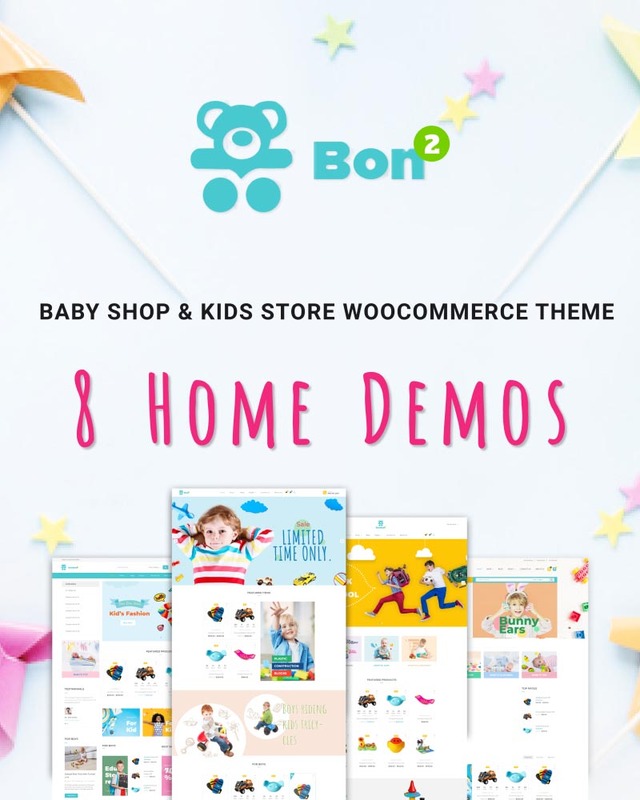 This WordPress theme would be ideal for an online shop or childrens play center. It could be for baby or childrens clothing, toys, games, online activities or anything! PS: WooVina is an intuitive & flexible, free WordPress theme offering deep integration with WooCommerce. It’s the perfect platform for your next WooCommerce project. Feel free to submit a ticket here: https://woovina.com/submit-ticket If you have any pre-sale questions or need help installing your theme. Build Responsive Websites: Websites built with WooVina theme are 100% responsive. Fitting websites to different devices is no more an issue. Free Creative Demos: Free demos for anyone that wants their website to stand out from the crowd. Import any demo with a single click! Fastest Page Load Time: Among the many important ranking factors there’s speed. WooVina gets the highest grade in most of the top speed testing tools. Search Engine Optimized: Rank your website content on top of the search engine result pages. This theme building tool takes care of your site SEO. Easy Customization: Create beautiful websites with the cool features of WooVina Theme. Build everything visually right before your eyes. Header & Footer Builder: Pre-made headers, footers, unlimited possibilities. You can use predefined or build custom layout style and save it as a template. Translation & RTL Ready: Having sites in any language is not a problem. No matter the language you speak, build sites in your mother tongue. Detailed Documentation: All Steps of creating themes are described in details in the documentation. Check them whenever you need any help. Awesome Support: We have several alternative supports system to provide you. If you have questions or problems, we’re here to help. Native Cart Popup: Capture your visitors attention promptly, when the desired item is added to the cart. By doing so you increase the conversion rate significantly. Floating Add To Cart Bar: The floating bar ensures that your add to cart button is always visible to boost your conversions without disturbing your readers. Off Canvas Filter: Improve your user’s experience by displaying your archive product page in a full-width layout and an off-canvas filtering sidebar. Product Quick View: Enhance the user experience with a quick view that allows access to detailed information about a product without being taken to a new page. And much more features: WooVina Theme also have much more other features as Mega Menu, Product Wishlist, Product Compare, Grid View, List View. Please check live demo to see all features.